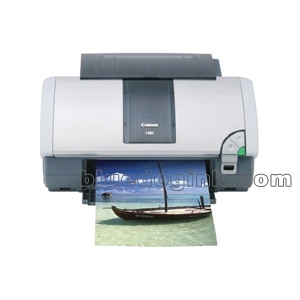 The Canon i960 Photo Printer is perfect for printing digital photographs. It offers the superior performance, high speed and superb quality that complements the capabilities of today's high-end digital cameras. Canon's advanced MicroFine Droplet Technology features 3,072 precisely machined nozzles that eject consistent prescribed-volume droplets for ultra-fine, ultra-fast printing. The i960 has a maximum resolution of 4800 x 1200 dpi for breathtaking detail and color fidelity and can produce a stunning edge-to-edge 4" x 6" borderless print with the look and feel of a traditional photograph in approximately 37 seconds. Direct photo printing allows you to connect any Bubble Jet Direct or PictBridge-compatible digital camera or camcorder to the convenient front-panel Direct Print Port and print to 4" x 6", 5" x 7", or 8.5 x 11" paper without using a computer. Canon's Think Tank System features six individual ink tanks coupled with an intelligent ink management system allowing you to replace only the color that runs out, rather than the entire cartridge, a real cost advantage when printing high-intensity color photos. Bluedogink.com is a leading provider of printer, printer supplies, office and paper products. Our wholesale price on Canon i960 Supplies is part of our commitment to provide consumers with the lowest discount price available. Our customers are very important to us. We cater to many industries including military, government, schools, educational, medical, corporate, healthcare, legal, accounting, finance and many more. So, act now and buy Canon i960 Supplies at our low price.